A stock market rally on U.S. employment growth wasn’t enough to move noted commodities trader Dennis Gartman back into equities — or away from gold. Gold [GCCV1 1695.40 -16.10 (-0.94%) ] hit a high of $1,714.90 per ounce midday after dropping to $1,670 in earlier trading. 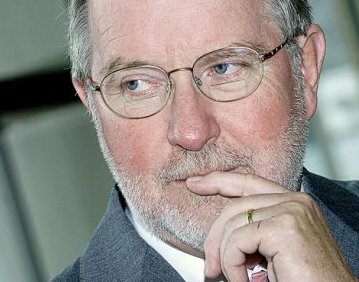 The editor and publisher of the widely followed Gartman Letter said he remained positive on gold — “violently bullish in yen terms; I’m avoiding it in dollar terms” — and was “dead-solid neutral” on equities. That position appeared solid, especially as the Indian rupee weakened and may have spurred buyers at the bottom. The Labor Department employment report — showing a net gain of 227,000 new private-sector jobs — could bode well for equities. Gartman said the jobs report clearly showed employment was improving in the United States. “Clearly, the economy is doing better,” he added. The indicators suggest that the stock market would do well, but Gartman said they already have shown strength and he did not like its exposure at this point. In fact, he said he owned some shipping and natural gas, but was betting on the S&P to outperform them. Patty Edwards of Trutina Financial said she was a gold buyer — but she also liked coal player Walter Energy [WLT 60.17 -2.05 (-3.29%) ] and natural gas via CVR Energy [CVI 26.89 -0.68 (-2.47%) ].